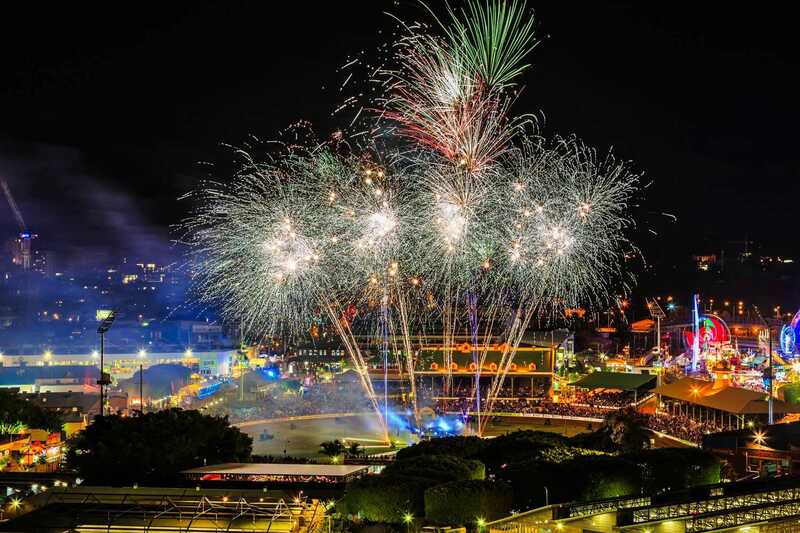 Howard & Sons Pyrotechnics was responsible for taking the night time entertainment at the EKKA into a new dimension designing and safely implementing multimedia production of fireworks, close proximity pyrotechnics, flames, lasers, lighting and human pyro performers in a nightly extravaganza in the main arena. 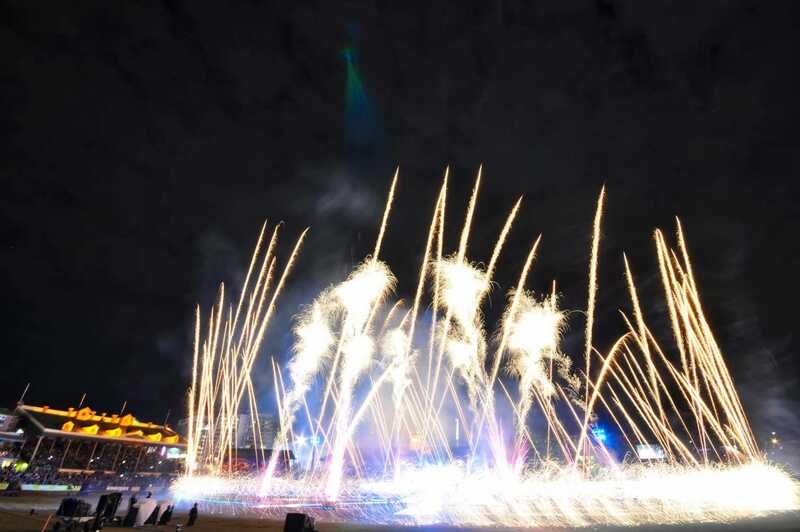 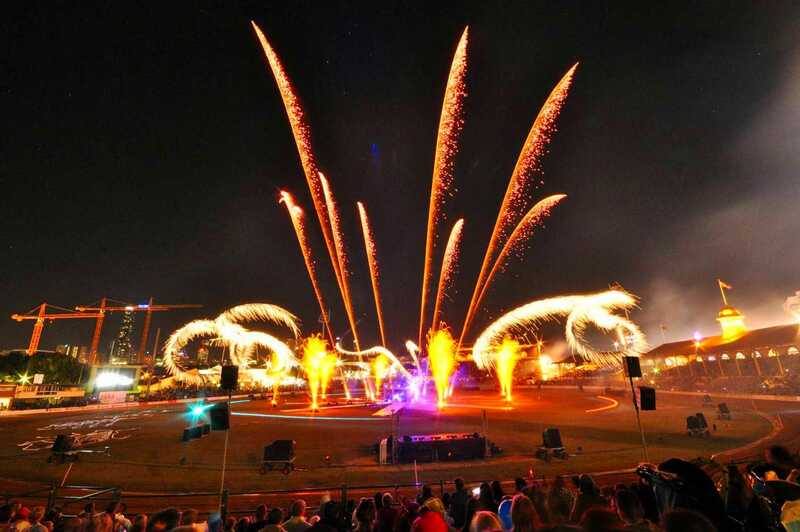 Our team were the innovators of firing pyrotechnic special effects from human pyro performers, fast moving motorbikes, ATV’s and kites that flew around the arena to the amazement of the huge crowds who flocked to the EKKA each year. 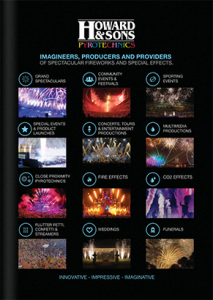 Engineering a wide variety of new firing equipment for the new firing patterns and using a robust technical firing system consisting of RF technology and cable infrastructure, which insured absolute split second synchronisation with the music, lighting, laser, performers, pyrotechnics & special effects. 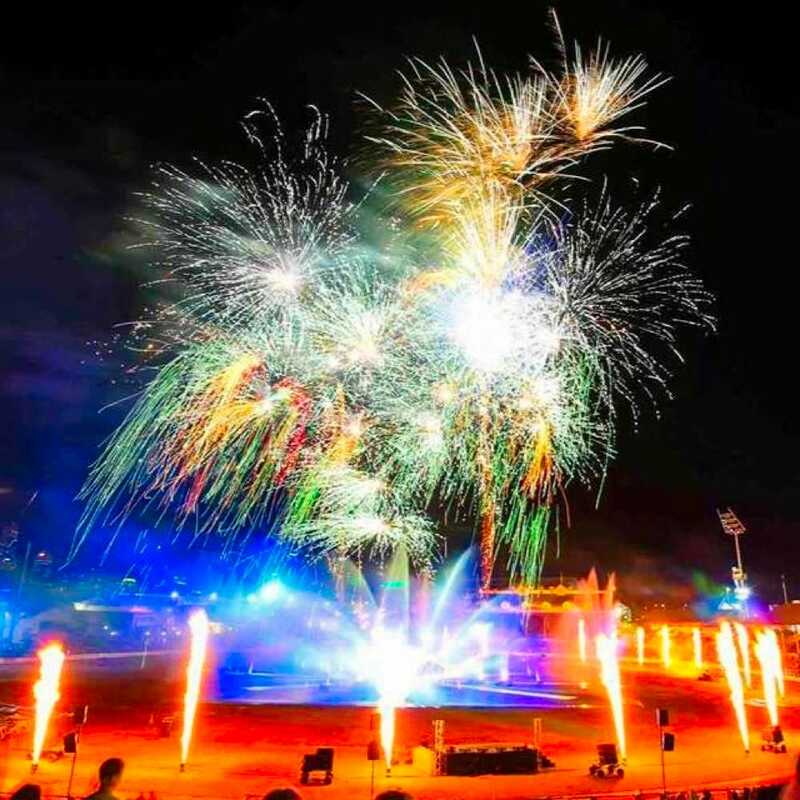 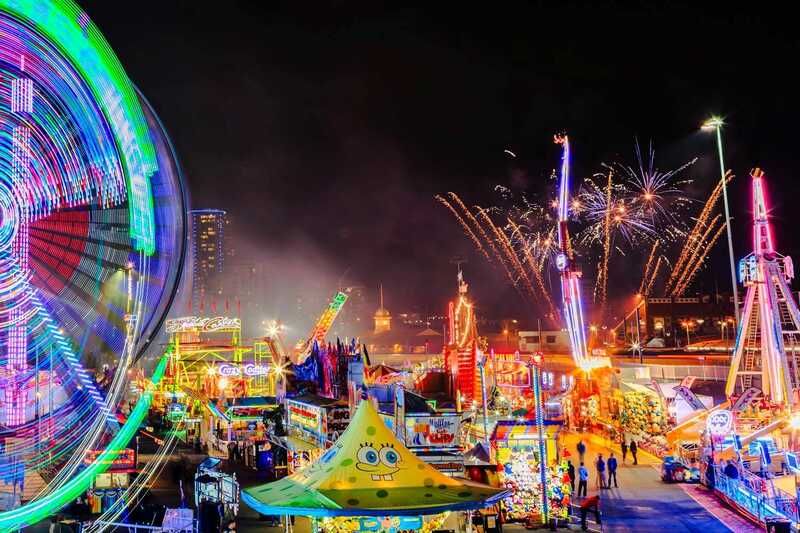 Our designers relished the opportunity of designing a brand new show for the EKKA each year, whilst working in an intimate arena environment and implementing the strictest safety systems for a public event fireworks spectacular anywhere in Australia.